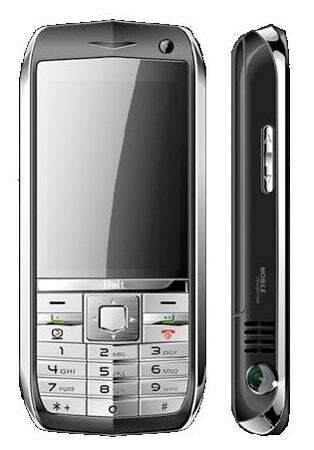 The Symbian S60 phone beams images in VGA 640 x 480 resolution, with a diagonal dimension of 64-inches (4-inches more than the first Bolt model). Battery life is pretty poor though, with the 2hours of projecting only just enough time to watch a film. Unless you're projecting, you can get 3hours of talk time, or 200 - 250 hours of standby time. A lousy 2.6-inch QVGA screen ensures you'll be watching all of your content via the projector function, though interestingly enough it also has a TV tuner, though we'll have to wait until CES next week to find out more about the specifics there. There's two cameras, the forward-facing camera is 1-megapixel and the back cam is 3-megapixel, and a microSD card slot is present for storing extra content.